Entry gates will open at 3pm. Please bring your tickets to show at the gate. The event is open to the public and all are welcome to attend. Admission tickets will be available in advance from the participating organizations listed below (follow a link to support your favorite cause; new participants and links will be added regularly); 100% of their ticket sales proceeds are retained by the organizations to support their worthy missions, for the welfare of our community. PLEASE PRESENT YOUR TICKETS for admission at the entry gates. 2019 Season passes will be honored and walk-up ticket sales will be available for purchase at the entry gates starting at 4pm. The Twisted Pony Bar and Polo Pro Shop will be open. For the status of the upcoming match, call the 24-hour info hotline (401) 846-0200 x2. Stay current with the 2019 team lineup, latest news, events and more through our e-Magazine (sign up), and our Game Day Scorecard (sign up). Both email subscriptions are private and spam free. Last year, the 2018 All Charity Day drew over 2,000 spectators, raising $22,000 for the 22 participating organizations. The beautiful, sunny July day included festive parties hosted by the organizations, fabulous raffle and silent auction prizes and a victory for Newport Women over Newport Men after a high-scoring match. See the 2018 highlights Here. Organizations are invited to plan a day at polo for their supporters, hosted by Newport Polo at the International Polo Grounds. Opportunities to participate are open to qualified 501-3c organizations. Two benefit matches are scheduled for this purpose this year: May 25 and July 14. Please email info@nptpolo.com for participation guidelines and registration. 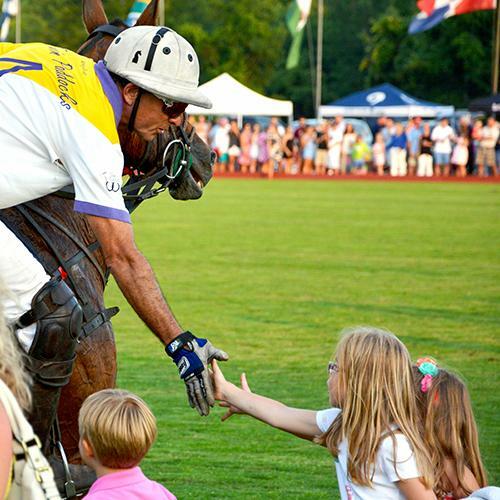 Through its 28 year history, Newport Polo has raised over $1,466,590 for civic and charitable organizations. Initiatives include the International Polo Charity Ball, special benefit matches, and countless ticket donations for the Newport International Polo Series. 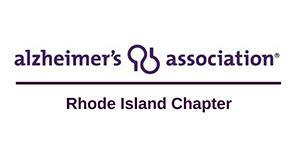 The Rhode Island Chapter provides education, personal support, and advocacy around key issues of concern to those persons in RI affected by Alzheimer's disease and related disorders. Our mission: To eliminate Alzheimer's disease through the advancement of research; to provide and enhance care and support for all affected; to reduce the risk of dementia through the promotion of brain health. Join us in the fight for Alzheimer's first survivor: The Alzheimer's Association Walk to End Alzheimer's is the nation's largest event to raise awareness and funds for Alzheimer's care, support and research. Together, we walk on behalf of our friends, our families, and our future. Though we all have our own motivation to step up to the start line, our eyes are set on the ultimate finish line - the end of Alzheimer's. Newport Walk, Sunday, September 16, 2018, at Fort Adams. Boys Town believes today, as our founder did 100 years ago, that every child deserves a future, every family deserves to stay together and every community deserves to thrive. We believe that all of these things should be achievable without regard to race, religion or background. Boys Town New England cares for children, families, and communities by providing and promoting an Integrated Continuum of Care that instills Boys Town values to strengthen body, mind, and spirit. In 2018, we were able to provide support to over 1,200 children and over 500 families throughout RI and MA. Learn more about Boys Town New England here. Now in its 15th year of operation, Homes For Our Troops (HFOT) is a national Veterans and Military nonprofit located in Massachusetts that builds and donates specially adapted custom homes nationwide for severely injured post – 9/11 Veterans, to enable them to rebuild their lives. Most of these Veterans have sustained injuries including multiple limb amputations, partial or full paralysis, and/or severe traumatic brain injury (TBI). These homes restore some of the freedom and independence our Veterans sacrificed while defending our country, and enable them to focus on their family, recovery, and rebuilding their lives. Since its inception in 2004, nearly 90 cents out of every dollar spent has gone directly to our program services for Veterans. HFOT has completed over 270 homes in 42 states. Purchase tickets in support of Homes for Our Troops here. Learn More about Homes For Our Troops here. Mission: The Junior League of Boston, Inc. is an organization of women committed to promoting voluntarism, developing the potential of women, and improving communities through the effective action and leadership of trained volunteers. Its purpose is exclusively educational and charitable. Diversity & Inclusion Commitment: The Junior League welcomes all women who value our Mission. We are committed to inclusive environments of diverse individuals, organizations, and communities. Vision Statement: The Junior League: Women Around the World as Catalysts for Lasting Community Change. Founded: The Junior League of Boston was founded in 1906. Members: The current membership of the Junior League of Boston totals 971 women. Projects: The Junior League of Boston’s current community focus is The Wellness of Girls: Developing Tomorrow’s Healthy, Confident Women Leaders. Learn more about The Junior League of Boston here. The Junior League of Rhode Island, Inc. is an organization of women committed to promoting voluntarism, developing the potential of women, and improving communities through the effective action and leadership of trained volunteers. Purchase tickets in support of The Junior League of Rhode Island here. Learn More about The Junior League of Rhode Island here. In 2008, the Newport County YMCA, a 501c3 charitable organization, started a Special Olympics Team with a single athlete and now serves the needs of over one hundred special needs children and adult athletes. The Y also offers Adapted Physical Activity programs that are designed to give disabled children and adults the opportunity to participate in a variety of recreational and therapeutic activities. The Y provides an environment that fosters individual growth and is changing the lives of our athletes. All programs are centered around the Y’s core values of youth development, healthy living, and social responsibility while focusing on developing both physical and social skills that last a lifetime. These programs only exist through the generous support of our local community. Purchase tickets in support of Newport County YMCA Special Olympics Team & Adapted Physical Activity here. Learn More about the Newport County YMCA Adaptive Programs here. In 1897, Rev. Pearce of Portsmouth proposed the establishment of a public library called the Portsmouth Free Public Library Association. A member of the building committee, John L. Borden, donated land at the corner of Freeborn Street and East Main Road for the Library building which still exists although much has changed over the years with additions to increase the size of the building to approximately 9,515 square feet serving Portsmouth. As a non-profit organization, the mission of Portsmouth Free Public Library is to serve as an essential resource that grows with our community, enhances the quality of life of our users, supports lifelong learning, and offers access to information in a variety of ways. There are about 70,000 items, 25 computers, and several free databases for public use. The Library conducts about 300 programs per year for all age groups and interests. Learn More about the Portsmouth Free Public Library and information to buy tickets here. Girl Scouting builds girls of courage, confidence, and character, who make the world a better place. 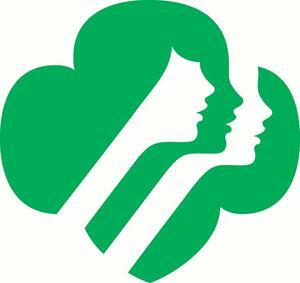 Portsmouth Girl Scouts provides girl-centered programming for Portsmouth girls ages 5 and up. At Girl Scouts, girls get to lead their own adventures and choose the exciting, hands-on activities that interest them most. Along the way, they gain important skills in four areas that form the foundation of the Girl Scout Leadership Experience: STEM, outdoors, life skills and entrepreneurship. To purchase tickets in support of Portsmouth Girl Scouts, email ritroop730@gmail.com. Learn more about Portsmouth Girls Scouts here.